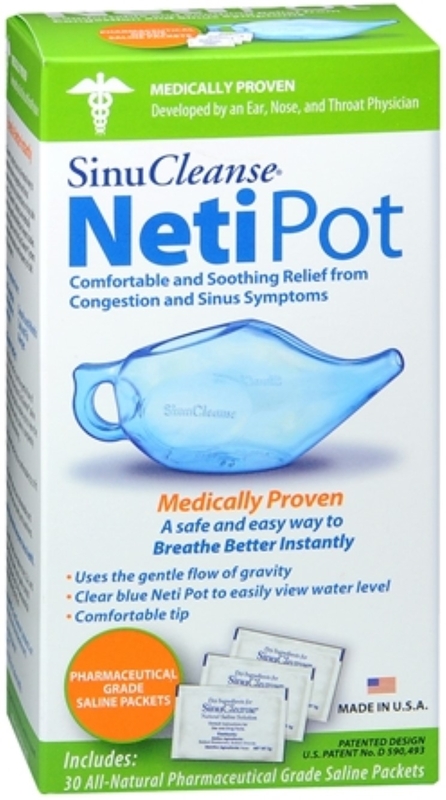 Medically proven for a safe, gentle and effective method to immediately relieve sinus symptoms caused by colds, flu, allergies and sinusitis including sneezing, runny nose, post nasal drip, nasal congestion, and sinus pressure. 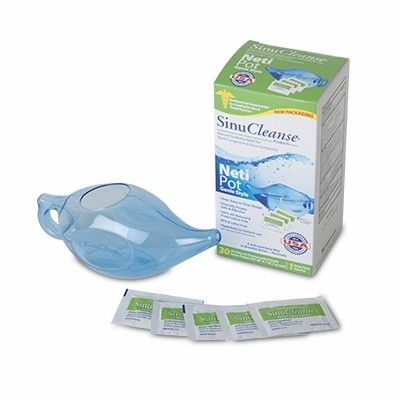 Uses the gentle flow of gravity to deliver the all natural SinuCleanse saline solution. Comfortable nose piece suitable for all noses. 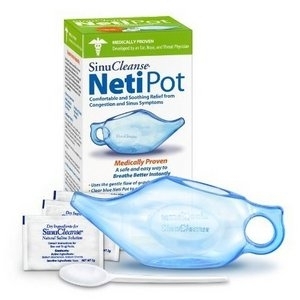 Clear blue plastic enables user to view water level and ensure saline is completely dissolved prior to use. Dishwasher safe to ensure safety and cleanliness. Includes 30 saline packets. Made in USA.